There is still no central government strategy for rough sleepers, who are the most visible faces of homelessness. The Tauranga District Council’s ban on rough sleeping and begging within 5 km of town centres has attracted significant criticism from social service providers and a mixed reaction from residents. As the chief executive of a charitable Trust that works alongside people experiencing chronic homelessness, it’s obviously difficult to read about decisions like this. Often, faced with the unpleasantness of homelessness, it’s tempting to just try and move the problem elsewhere. But the causes of homelessness are complex and often not amenable to a “quick fix”. Local body bylaws like the Tauranga ban are symptoms of a wider problem. 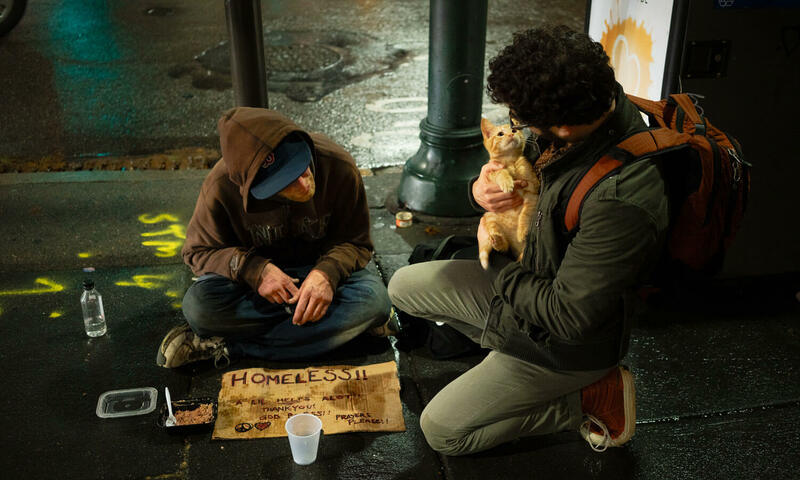 There is still no central government strategy for chronic homelessness – that is, the rough sleepers, who are the most visible faces of homelessness in New Zealand. This may be why exasperated Councils like Tauranga District Council take extreme steps. There has been a renewed focus on homelessness as an issue in the past few years. When Lifewise started The Big Sleepout in 2010, our goal was to raise awareness of the issue among the public. By 2017 the increase in numbers of rough sleepers in our city centres, and the plight of families sleeping in cars and turning to emergency marae accommodation during harsh winters meant that it was impossible to ignore. It was a major election issue in 2017. Most action has been taken with regard to those families who were living in overcrowded conditions or who had lost state housing. This is important work. The majority of New Zealand’s homeless are not, in fact, people with no accommodation, but people with precarious or temporary accommodation: whānau forced to share houses that are far too small or ill-equipped for more than one family unit. But it means that ironically, the most visible victims of homelessness, that many of us see every day, continue to fall through the cracks. This is not a call for the government to design sweeping new policies from scratch. The expertise to deal with chronic homelessness already exists in the organisations that have been working at the coalface for years. Lifewise works closely with the community, particularly those who are experiencing chronic homelessness. Our work has taught us that many rough sleepers have backgrounds of childhood poverty and trauma and experience very poor physical and mental health. They are often excluded from support services. There has been some government action on this. The coalition government continued and increased funding for Housing First, a programme introduced to New Zealand by Lifewise and now run by an independent board made up of social sector organisations. As its name suggests, Housing First is an evidence-based policy that in order to address these underlying problems, the first step is to get rough sleepers into permanent homes. It’s no use giving someone addiction counselling while they are living on the streets. It was adopted by successive governments because it is effective. Free from the demands of day-to-day politics, organisations like Lifewise are free to develop new ways of doing things that governments for whatever reason may not want to risk investing in. A government strategy to deal with chronic homelessness should have two main objectives: how best to get the chronic homeless off the streets and into permanent homes, where the underlying traumas and problems that led them to the streets can start being worked on. Another objective for Lifewise is, since we know the path to homelessness often begins early in life, how might we prevent the next generation of homelessness? The social sector has plenty to offer here as well. Lifewise is developing ways to support children and families who are dealing with trauma and stress. This means working with people, without judging, to build resilience for the future. The expertise is there. We understand that local bodies and central government do not have all the knowledge to deal with this. But they can unlock the resources and make it possible for those who do to make a difference.